Debbie Roshe has worked as a choreographer and has been a prominent dance teacher in New York for the past 15 years. She choreographed Palm Beach at La Jolla Playhouse, directed by Des McAnuff. She also choreographed A Novel Romance and Zona, The Ghost Of Greenbrier Off-Broadway, and Damn Yankees at the Ivoryton Playhouse. 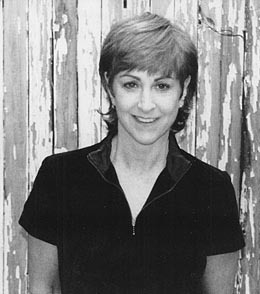 She was chosen as one of six choreographers to present work at Dancebreak 2003, a showcase presented by the Society of Stage Directors and Choreographers Foundation.Other work includes Sing a Christmas Song at George Street Playhouse, Young Tom Edison for Theatreworks USA, "Where In Time Is Carmen Sandiego?" for PBS, "The Dana Carvey Show," "Sky Dancers," and the 25th Anniversary Gala for Playwrights Horizons.She choreographed a new version of Diamonds in Kansas City, a National Tour of The Rocky Horror Show, and the nightclub act A Bushel of Nuts, which had successful runs in New York. Debbie has also staged numerous commercials and industrials. She was the Assistant Choreographer for the New York workshop of Jekyll and Hyde, and the Off-Broadway productions of Song of Singapore and Theda Bara and the Frontier Rabbi. Debbie has taught advanced jazz classes at Steps on Broadway in New York since 1996. She has also taught for American Ballet Theatre, New York Offstage, New Dance Group, Hama's in LA, Etudes de Ballet in Naples, Fla., Dance Space in Vero Beach, and the Toledo Ballet.